American self-styled bad boy’s violin music ain’t bad at all. George Antheil (1900-1959), the American self-styled “bad boy of music” lived in Paris during the late 1920s where his most controversial works were written. Determined to be noticed, and with a great deal of natural talent, he produced pieces for ensembles of outlandish combinations, full of “raw energy and driving aggression” (to quote Duo Odéon’s note). Throughout Antheil’s life he paraded his musical influences blatantly: his First Symphony quotes Stravinsky’s Petrushka, and often his pieces present a stylistic mélange of his 20th-century contemporaries just shy of rip-off. It’s all great fun. 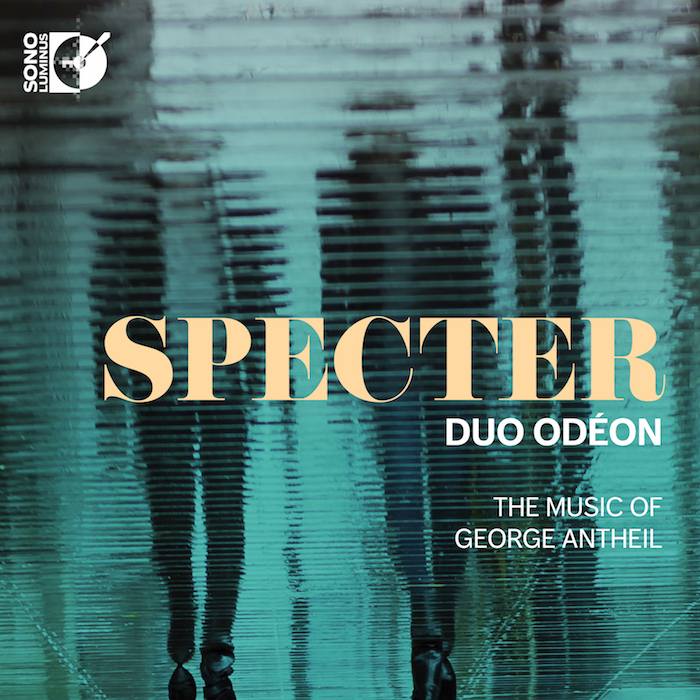 Duo Odéon is violinist Hannah Leland (who wrote her doctoral thesis on Antheil) and pianist Aimee Fincher. Here they play two works written for Antheil’s friend Werner Gebauer, a German violinist. The Sonatina and the Violin Concerto were composed in the mid-1940s but recall the modernistic flavour of the composer’s work of the 20s. The Sonatina sounds like Milhaud, with its bitonal harmony and folk-like themes. Typical of Antheil, a touch of Americana creeps into the finale (relished by these fine players). The Concerto is played in a reduction for violin and piano: it’s more virtuosic, with an atmospheric slow movement where Satie meets Sarasate. Three waltzes Gebauer arranged from his friend’s film score The Specter of the Rose (1946), surfaced only recently, complete the disc. Duo Odéon’s aim to showcase unknown music proves highly successful.